Together with the other teams in the NPSL Keystone Conference, FC Monmouth finalized and announced the 2019 season schedule. 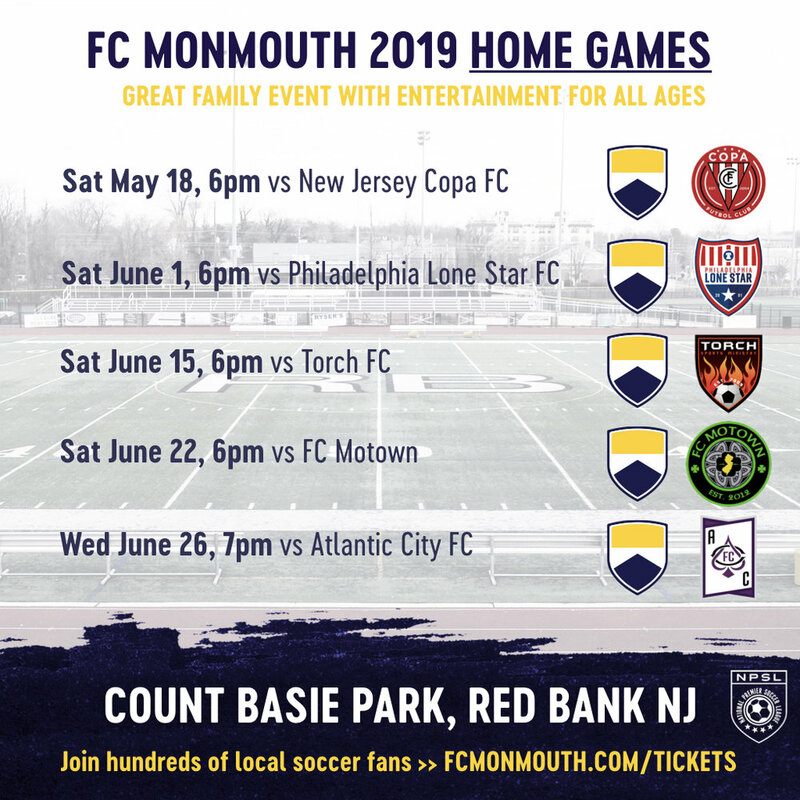 The first official season game to enjoy the FC Monmouth family experience will be May 18th, a home game at Count Basie Park against New Jersey Copa FC. FC Monmouth will be playing 5 home games. You can buy a season ticket with discounts for all games, or single game tickets for individual games either at the gate or online at below links to avoid lines. Additionally, your local team will be on the road for 5 away games, of which the first two will be in New Jersey (Holmdel and Atlantic City respectively) and the other three will be a trip to Pennsylvania (Hershey, Scranton and West Chester).